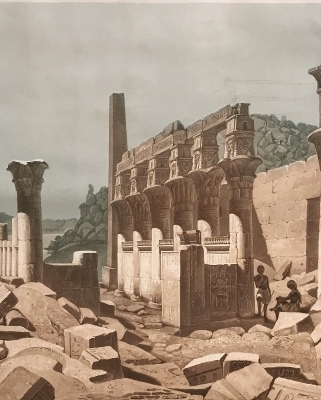 'Temple of Venus Athor, Isle of Philae'. Ruins of the Ptolemaic Period temple dedicated to the goddess Hathor. Etching and aquatint with margin, printed in brown, greyish blue and ochre. 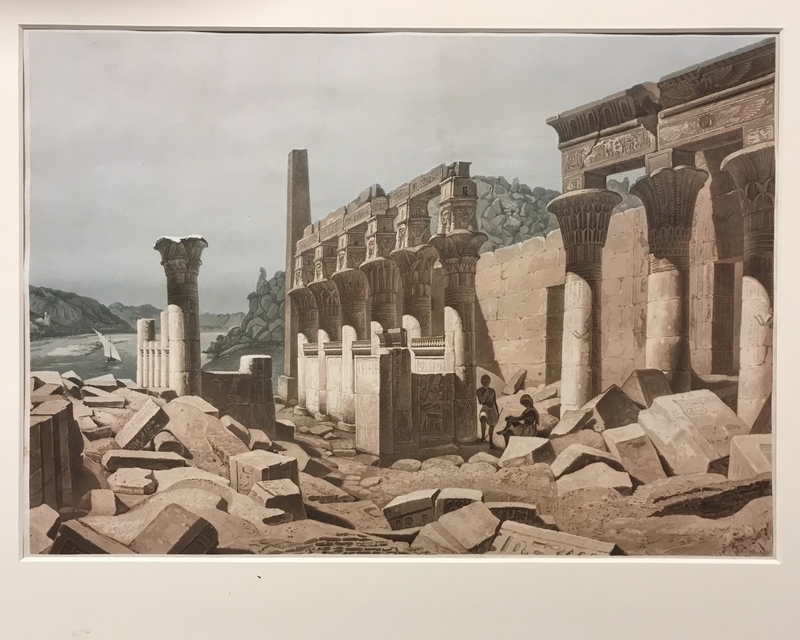 By Sigismond Himely, a plate from a set of 37 from Hector Horeau's 'Panorama d'Egypte et de Nubie'. 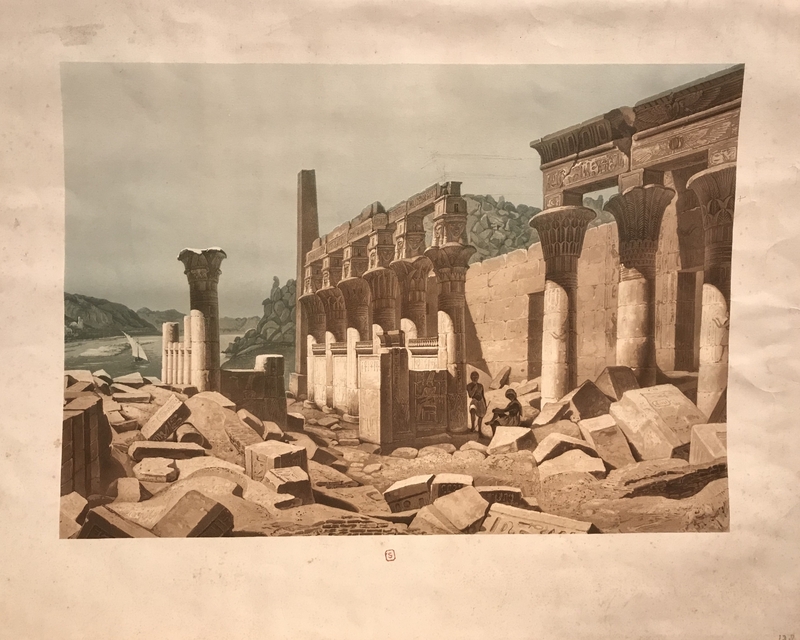 Published in Paris, 1841. 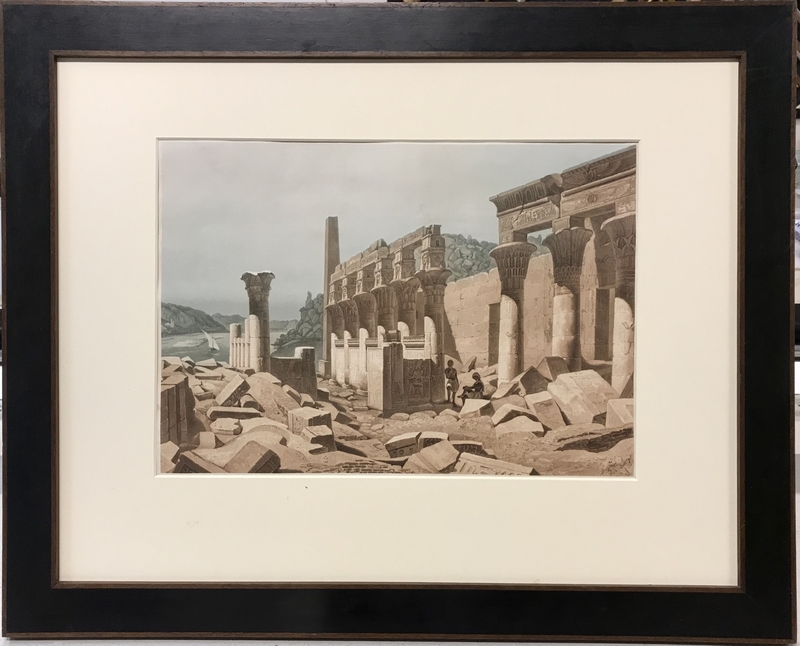 Collectors mark 'S' below image for collection of Charles Séchan, Paris (1803-1874).